We hope you have been following and reading the WDC Insights blog in the last year. Take our Christmas Quiz (9 questions) and see how well you score on regional development and Western Region issues. The answers are below with links to more information and the relevant posts. 1 The WDC published its report on ‘Trends in Agency Assisted Employment in the Western Region’ in January. This included an analysis of data for each of the seven western counties. In 2013 what proportion of the total jobs in Sligo were agency assisted? 2 Agriculture in the Western Region of Ireland is characterised by smaller farm size, poorer land quality and a higher dependence on off farm income than in many other parts of Ireland. Nonetheless agriculture remains a significant employer and makes an important contribution to the regional economy. What is the average farm size in the Western Region? 3 In the latest CSO data on Income and Living Conditions (released 26th November) poverty and at risk of poverty rates are given. What is the difference between the at risk of poverty rates between the BMW and S&E regions? 4 In a recent a creative momentum project survey what proportion of creative entrepreneurs were exporting? 5 Examining regional indicators can help us to understand the growth and development taking place in our regions, to highlight changes and assess issues of efficiency and equity among regions. 6 Understanding the sectoral pattern of jobs in the region and patterns of sectoral growth and decline is particularly important to the development of job creation, skills and enterprise policy for the region. What is the largest employment sector in the Western region? 7 The WDC has been highlighting rural broadband needs for more than a decade. It recently submitted its views to the consultation on the rollout of the National Broadband Plan. What is the minimum download speed set down under the National Broadband Plan (in Mega bits per second (Mbps))? 8 In February 2015 the IDA published a new 5-year strategy which put considerable focus on the regional balance of future FDI investments. The strategy includes a target to increase the number of investments in every region, outside of Dublin. By how much are the investments in the regions targeted to increase? By 10-20% over the 5 years of the strategy? By 30-40% over the 5 years of the strategy? By 80-90% over the 5 years of the strategy?. 9 With The Paris Agreement at COP21 marking a turning point in the response to climate change, it is time to consider how we will meet those targets in Ireland so we examine some of the issues for climate change mitigation in the Western Region in this post. What percentage of households in the Western Region use oil to heat their homes? The WDC published a report on ‘Trends in Agency Assisted Employment in the Western Region’ in January 2015.week. This included an analysis of data for each of the seven western counties. Taking Sligo as an example in 2013, there were 3,880 people working in agency assisted jobs there. 15.3% of total jobs in the county were agency assisted, which is below the state average (19.3%). Some 55.6% of assisted jobs in Sligo are in foreign owned companies; lower than a decade earlier. Irish owned assisted employment has grown steadily since 2011 and was up 4.8% in 2013. Sligo’s second largest assisted sector – Traditional Manufacturing – has had the strongest recent growth, up a fifth (21.5%) between 2010 and 2013. Agriculture in the Western Region of Ireland is characterised by smaller farm size, poorer land quality and a higher dependence on off farm income than in many other parts of Ireland. Nonetheless agriculture remains a significant employer and makes an important contribution to the regional economy. The average farm size in the Western Region (counties Clare, Donegal, Galway, Leitrim, Mayo, Roscommon and Sligo) was 26.3 ha in 2010. Farm sizes are significantly smaller than in the rest of Ireland where the average farm in 2010 was 36.9 ha. Nonetheless farm size in the Western region has grown by a third since 1991 when the Western Region average was 19.8 ha with most of the growth occurring in the 1990s (almost 27% of the growth occurred between 1991 and 2000). For more information, read this post. The CSO released the latest data on Income and Living Conditions on 26th November 2015. The headline figures indicate a rise in incomes – increasing by 3.5% between 2013 and 2014, which in turn was higher than the figure in 2012. The release also provided data on poverty rates at a regional level. Analysis of consistent poverty rates by region, which will be influenced by rural-urban patterns, shows that the rate for the Border, Midlands and Western region was 10.8% compared with 7.0% for the Southern and Eastern region in 2014. The at-risk of poverty-rate was also higher in the Border, Midlands and Western region compared to the Southern and Eastern region, 20.5% and 14.8% respectively. The difference was 5.7%. For more on poverty and at-risk of poverty rates see this post. In order to inform the development a creative momentum project activities, an online survey was circulated to creative entrepreneurs based in the participating regions. The survey ran from 28 September to 18 October and there were a total of 170 responses. There has been a significant widening of the gap between the BMW and the S&E regions since 2008, the difference in 2012 was 48.3 points and in 2008 was 40.6 points (in 2003 it was 42.6). Answer: 2) Wholesale and Retail. The largest employment sector is Wholesale and Retail and the two largest employment sectors in the Western Region are Wholesale and Retail, and Industry which together account for about 30% of jobs. Of the region’s top seven sectors, all (except Health) account for a greater share of jobs in the region than the rest of the state. Agriculture and Industry (manufacturing) are considerably more important in the region. Among the region’s smaller sectors the share working in them in the region is considerably below that in the rest of the state. The strategy includes a target to increase the number of investments in every region, outside of Dublin, by 30-40% over the lifetime years of the strategy. With Dublin maintaining a similar level to currently. For example for the West, which received 71 investments over the 2010-2014 period, the target is to achieve 92-99 investments over 2015-2019. For the Border region the target is 61-66 investments (it received 47 in the past five years). These targets do not just refer to new name investments, but include expansions by existing FDI companies and R&D investments. The pattern of fuel usage in central heating is very different in the Western Region and the rest of the state. This is primarily due to the lack of access to natural gas across most of the region. Less than 5% of households in the Western Region use natural gas to heat their home compared with 40% in the rest of the state. Lack of access to natural gas makes the Western Region far more reliant on other fuels, many which have higher carbon emissions. Oil is used by 63.1% of households in the region compared to 38.8% in the rest of the state. Wood fuels and other biomass are slightly more important in the Western Region 1.4% compared to 1.3% in the rest of the state but there needs to be a significant policy focus using renewable energies for domestic heating. These include solid biomass (wood chips, pellets and logs). In many rural situations users have more space and fuel can be sourced locally with less transport required, so these options may be more suitable than for urban dwellers. Uptake could be improved with appropriate, targeted incentives. For more on rural urban differences, western region statistics and the need for climate change mitigation to focus on rural areas see this post. WELL DONE, a good score but some deficiencies in your knowledge. Perhaps you should read the WDC Insights posts more carefully in 2016! OH DEAR! Time to pay more attention to regional development and Western Region Issues. You’ll have to do some extra study over the holiday! Reread the WDC Insights blog and check out the WDC publications page and re-take the quiz in the New Year! 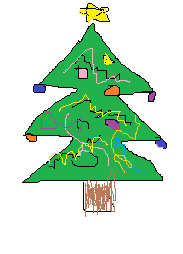 https://www.wdc.ie/wp-content/uploads/blog-christmas-tree.png 254 183 WDC https://www.wdc.ie/wp-content/uploads/wdc-567.png WDC2015-12-21 15:49:212015-12-21 15:49:21WDC Insights- Christmas Quiz! A seminar entitled Ireland’s Policy Priorities after the next General Election, on November 2nd provided a welcome break from the recent talk of Budget giveaways and election promises. Organised by the Policy Institute, Trinity College Dublin, in association with the Public Policy Advisors Network, the aim was to discuss what are and what should be the policy priorities of the next Government. Some interesting contributions included that from Dan O’Brien, in which he examined medium term policy challenges, noting the ageing demographics generally as well as a sharp decline, over the last five years, in the number of those aged in their twenties. This is attributed to the birth rate as well as emigration and the ageing of that cohort of East European migrants that came here before the crash. Another key policy theme which is likely to become a policy priority is Ireland’s response to the EU’s 2030 energy and climate change targets. The recent recession, which gave rise to a reduction in emissions (purely because of a contraction in economic activity), relegated the urgency of this policy priority. The return to economic growth will ensure that this is likely to become a more important policy priority. It was proposed that the next Government should appoint a senior Minister with responsibility for the low carbon agenda. Considering the economics of the next programme for Government, Stephen Kinsella and Ronan Lyons examined the patterns of national economic growth since 2002 – characterised initially from 2002-2007 by a rapidly growing economy, followed by the economic crisis of 2007-2011 which in turn was followed by a period of readjusting public spending and restoring economic confidence in 2011-2016. It is suggested that the period from 2016 could be that of ‘coming full circle’, with a rapidly growing economy and a need to manage expectations. In learning from our past mistakes, fiscal policy is key and the authors advocate the use of the concept of the Social Return on Investment (SROI). This differs from the current cost based accounting approach to public spending to a more holistic economic approach where the wider costs and benefits of a proposal would be measured. In doing, so the full implications of a cut are captured e.g. €100 cut to caregivers allowance, which then drives people into the public health system thereby negating any ‘savings’. This is arguably a more useful way of evaluating public policy instruments, allowing a more holistic measure of the effects of policies. Examining Local Government and Spatial Planning, Seán Ó’Riordáin and John Martin point to the need for a new long-term spatial plan for Ireland (the National Planning Framework) and the need to learn lessons from the National Spatial Strategy. The role of local government in supporting long term development of both rural and urban areas needs to be addressed. Bringing the concept of Social Return on Investment to the debate on spatial planning, regional, rural and urban development might help advance this debate and the policy choices which arise. In considering investment decisions to support development of the regions, both urban and rural, measuring the Social Return on Investment might lead to different outcomes when considering cuts to or additional investment in various services in regional and rural locations. For example, decisions on the closure of public services offices in regional and rural locations such as post offices, government outreach offices, garda stations etc. are usually based on cutting operational expenditure, including staff costs or economies of scale. These cuts can deliver immediate financial savings for the organisation but this narrow view does not take account of the accumulated long term impact on the local economy, the overall needs of society and the disabling impact on local communities. Taking account of the social rate of return allows for a more holistic economic and societal perspective, rather than solely on the efficiencies and financial savings generated for the individual organisation. In doing so, the wider impacts beyond a particular locality can be captured, for example, unemployment and migration from rural areas and other regional centres can add to already significant pressures on housing and transport services in the capital. This in turn requires additional investment in infrastructure and services, which is often more expensive to deliver in congested urban areas. Examining all costs and benefits and the social rate of return could help us to make better, more informed choices. One of the most significant commitments for regional and rural areas in the Capital Investment Plan (Building on Recovery, Infrastructure and Capital Investment 2016-2021) was the allocation of €275 million for the National Broadband Plan. This is the Government Plan which aims to rollout high speed broadband to every resident in the country. The €275 million is ‘an initial stimulus’ and the Government plan is also to benefit from the private sector funding as well as some EU funding. The WDC welcomes this investment allocation and the steady (if belated) progress towards the rollout of the National Broadband Plan. Recently, the Department of Communications issued a Consultation seeking views on the planned rollout. One of the most positive aspects is the second principle of the proposed Strategy (p12) ‘to conclusively address connectivity deficits across Ireland’. For those of us in rural and regional Ireland, the prospect of ‘conclusively’ addressing our broadband needs, rather than constantly playing ‘catch-up’ with inadequate services is to be welcomed. Conclusively addressing our broadband needs is to be achieved ‘by setting down minimum speeds and delivering an infrastructure that is capable of meeting current and future demands for bandwidth’. Setting down a minimum speed is a marked improvement on the previous practice of using ‘up to’ headline speeds, which in many cases were not achievable, as the speeds are compromised by the number of users (contention) at any one time. So far, so good. The minimum download speed is set at 30Mbps download which currently or maybe even in five years’ time seems more than adequate. But the contract for delivery of high speed services will be for twenty years and the infrastructure being deployed is set to deliver broadband services for potentially 30 to 50 years! The broadband rollout is often compared to rural electrification and this infrastructure is still serving its original purpose over 60 years later! If we are to have learned anything from the development of Information and Communications Technology and the expansion of the Internet, it should be that the minimum acceptable speed is changing all the time and the demand for bandwidth is growing all the time. Therefore to choose a minimum speed which would apply now and also in 20 years’ time seems like a big mistake. What was deemed a minimum standard ten years ago would not be considered acceptable now. There is a general trend of raising the threshold of the broadband definition as higher data rate services become available, so for example in 2002 the communications regulator defined the minimum threshold for broadband as 512kbit/s (ODTR Report 02/79). In 2010 the U.S. Federal Communications Commission (FCC) defined ‘Basic Broadband’ as data transmission speeds of at least 4Mbps downstream. The issue of multiple users in the same premises and unforeseen applications compounds this issue even more. With this in mind the WDC considers that 6Mbps upload and 30 Mbps download seems low as a minimum standard to apply for the next 20 years. Of course it is not reasonable to define a minimum acceptable speed which would apply now and in 20 years’ time (though this is planned as part of the Strategy). We should build in a mechanism in the contract that the minimum standard be reviewed and revised as necessary. In order to ensure that minimum speeds are acceptable, there needs to be a recognition that the minimum acceptable speed will change over the contract period. The WDC in its Submission to the Consultation suggests that one option would be to review the basic minimum standard, for both up and download speeds, every 5 years (or more frequently depending on technological change and demand requirements) and raise the minimum standard accordingly. How this would be done and by whom is another question. However if we can benchmark prices to ensure that broadband services in rural areas are affordable, it should be possible to benchmark minimum acceptable speeds. ‘Delivering an infrastructure that is capable of meeting current and future demands for bandwidth’ is one element which can help ensure ‘that we conclusively address our broadband needs’. The other key element required is having ongoing acceptable minimum speeds. While minimum speeds will rarely be a concern for the urban user or in areas served by several operators, previous experience of broadband service delivery in rural areas, especially where there is limited competition, suggests that operators need to be obliged to deliver services to a certain standard. Therefore an acceptable minimum standard is hugely critical and will remain so for rural citizens living in areas with limited competition. A few interesting trends are emerging from our initial analysis of a special run of data received from the CSO’s Quarterly National Household Survey for Quarter 1 2015. This data covers the seven county Western Region and compares data for the region with the rest of the state (all other counties combined). Following the general trend, the Western Region’s unemployment rate is declining but this is happening at a slower pace than elsewhere. The region’s unemployment rate is now 10.4%, above the 9.8% rate in the rest of the state (Fig. 1). This compare with 11.4% and 12.1% respectively a year previously (Q1 2014). The unemployment situation seems to be improving more rapidly in the rest of the state. Fig. 1: Unemployment rate in Western Region and rest of the state, Q1 2006 – Q1 2015. Source: CSO, QNHS Q1 2015. Special run. Part of the reason for this is that the numbers in employment in the region have grown by less than elsewhere. Over the past year the numbers at work increased by 1.4% in the Western Region compared with 2.3% growth in the rest of the state. The slower decline in the region’s unemployment rate also carries through to long-term unemployment which fell from 7.0% to 6.4% in the Western Region compared with a far greater drop (7.3% to 5.8%) in the rest of the state. But it is among young people that the region’s poorer unemployment record really stands out. The unemployment rate among young people (15-24 years) in the Western Region is 30.8% (Fig. 2). This is a full 10 percentage points higher than in the rest of the state (20%). And unlike the general trend, the youth unemployment rate in the region is continuing to climb, up from 29.2% in the past year. This is in stark contrast to the rest of the country where youth unemployment declined strongly (from 24.6% to 20%) widening the regional gap even more. Earlier this week the Irish National Organisation of the Unemployed (INOU) highlighted the fact that jobseekers in rural areas are finding it harder to get a job and that the recovery is not being felt in all parts of the country. Our initial analysis of the Q1 2015 data for the Western Region, where two-thirds of the population live in rural areas, supports this assertion and in particular for younger jobseekers. The need for a more even spatial pattern of job creation has been highlighted in a number of recent strategies such as the IDA’s, and the upcoming Action Plan for Jobs for the West and Border regions will also focus on this, but it remains to be seen how effective these strategies will be. The WDC will be releasing further analysis of the region’s labour market over the coming months. A background paper on ‘Regional and Rural Development – Economic recovery for the whole country’ was prepared for a breakout session at last week’s National Economic Dialogue (16-17 July, Dublin Castle). What can be done to ensure that the benefits of recovery are fairly distributed throughout the country – urban and rural and throughout all the regions? How can we maximise the contribution of both regional and rural development to both a strong economy and a fair society? What are the key environmental and sustainable development challenges? It will be interesting to see the priority given to regional and rural development given the competing economic and social priorities discussed over the two days. The summary of the discussions is due to be published later this week here. The background papers for all the breakout sessions are available here. As the Department for Communications, Marine and Natural Resources in Ireland prepares the National Broadband Plan Intervention Strategy, it is useful to consider some lessons which can be learned from elsewhere. The experience of Australia is instructive, in part illustrating some of the pitfalls. In 2009 the Australian Government announced an ambitious programme to deliver fibre to the premises (FTTP) to 93% of Australian premises (residential and commercial). This was a very ambitious target given the country’s very low population density (3% compared to Ireland’s 67%). The remaining 7% of the population, in the very remote parts of Australia, were to be served by satellite and wireless technologies. The original deadline for completion was within six years (2015). By the end of 2013 just 3% of premises were connected. Following an extensive review in late 2013, a change in direction and new targets were announced. Instead of 93% FTTP, it is more likely to be 22% FTTP, the exact technology (and therefore the actual %) will be determined on area basis. Fibre to the node (FTTN) to 71% approximately of premises, with the remaining 4% and 3% fixed wireless and satellite respectively. Lower speeds (50Mbps rather than 100+ Mbps download) resulting from the higher rate of FTTN connection rather than FTTP. The original plan in 2009, was forecast to cost AUD $44 billion (Australian dollars). In 2013, the estimated cost increased to AUD $73 billion – 65% greater than the original forecast. There is concern that the retail costs will be much higher than the cost of services currently available, estimated at an extra AUD $43 per month. This will influence the take-up of next generation services. Broadband is now accepted as a basic utility and access to it is considered necessary for participation in society and the economy. However as the recent water protests in Ireland demonstrate, basic utilities should not be expensive. The concept of ‘Willingness to Pay’ is a key element of the pricing structure. From an Irish perspective, it will be interesting to see from the trials of next generation broadband (in Cavan and Mayo for example), to what extent consumers will revert to a basic service at a cheaper price rather than paying extra for a premium product. It is also likely that the consumers in the pilot areas will be more receptive to paying for a premium service which they currently access, compared to those yet to experience the benefits of the premium next generation service. There is a declining value to additional broadband speeds. Part of the Australian review included an assessment of the growth in demand for faster broadband speeds. A key finding is that while the Willingness to Pay for speed may grow rapidly at low speeds (less than 40 Mbps download), for most people the Willingness to Pay is not expected to grow at all for high speeds (greater than 50 Mbps). A related finding is that consumers would prefer an increase to their current speeds quickly, rather than to wait longer to gain a higher level of speed. The Australian Government are now looking at prioritising delivery to those areas which are poorly served and this is consistent with the findings of the Independent Review. http://www.nbnco.com.au/content/dam/nbnco2/documents/soe-shareholder-minister-letter.pdf. In an Irish context an increase in speed for example from 5Mbps to 10 Mbps is worth more to consumers than an increase from 20Mbps to 25Mbps. The Australian experience also suggests it would be preferable to rollout delivery to those areas with poor and inadequate broadband first. In Australia, the different ruling parties have taken different policy positions on the rollout of next generation broadband. A change of Government can (and has in Australia) led to a change in policy on delivery and this can create huge uncertainly for investors as well as consumers. Given the scale of investment, the deployment of next generation broadband will generally take many years and beyond the lifetime of one Government. It is therefore important that Government policy is well considered and implemented consistently and not compromised by the electoral cycle. Next Generation Rural Broadband – When and How Much? On the 11th May, WDC attended the official launch, by An Taoiseach Enda Kenny T.D. and Ministers for Communications and Rural Affairs, of eircom’s Fibre To The Home (FTTH) rural broadband trial in Belcarra, County Mayo. This trial offers broadband speeds of up to 1Gb/s (1,000Mb/s) to rural residents and businesses and demonstrates the value of a fibre to the premises solution. This is a far cry from the very basic broadband service which was made available under the State supported National Broadband Scheme (NBS) which in theory delivered up to 10Mb/s, but for most users, much less than this. For most rural residents still trying to survive with basic, intermittent and inadequate broadband speeds, the announcement of a service delivering 1,000Mb/s in a rural area, must seem both frustrating and promising at the same time. The Government have committed to a basic minimum of 30 Mb/s to all citizens under the National Broadband Plan. However rollout under this state funded scheme has yet to start, with the competition to award the tender to the successful applicant(s) yet to take place. Rollout will not commence until 2016, and all citizens are to be served by 2020. A few days later, an Taoiseach and Minister for Communications unveiled another fibre to the building project, this time through the joint venture between ESB and Vodafone, called Siro. Siro aims to be Ireland’s first 100% fibre-to-the-building broadband network. This will focus on delivering fibre to the home to fifty regional towns across Ireland. While both eircom and ESB/Vodafone are making commercial investments in fibre based solutions to urban centres, they are both positioning themselves as the preferred bidder to deliver on the planned Government funded National Broadband Plan to rural areas which will deliver the minimum speed of 30 Mb/s. These announcements raise interesting questions for the Government funded scheme. While 30 Mb/s is the minimum target for all users, the pilot demonstrates that technically 1,000 MB/s can be delivered to very rural communities. The fibre to the home rural pilot raises the bar as to what speeds might be possible in rural areas. However these will not be commercially funded services and will require state support. The cost of such a fibre based solution and how much will be borne by the state is not clear. The WDC welcome the developments delivering fibre based solutions to regional and rural locations. However key questions for users have yet to be answered such as when exactly will it be delivered? What speeds are likely to be available in rural areas (it is recognised that 30Mb/s is the minimum) and how much will it cost to fund? Until the new services are delivered, businesses and citizens will continue to work with inadequate broadband, frustrated in their capacity to communicate with clients and suppliers alike and hampered in their ability to access online services. The priority now is to start rollout under the state funded scheme as soon as possible. https://www.wdc.ie/wp-content/uploads/broadband-image.jpg 531 900 WDC https://www.wdc.ie/wp-content/uploads/wdc-567.png WDC2015-05-27 11:45:402015-05-27 11:45:40Next Generation Rural Broadband – When and How Much? RTE screened a documentary, The Battle for Rural Ireland, on 9th March 2015, to which Deirdre Frost contributed. Presented by Richard Curran, the programme highlights the challenges faced by rural communities and towns, both in the context of the recent recession and the outlook for further rural depopulation. Much of the projected population growth is to occur on the East coast. You can watch the programme here (available until 30 March). While urbanisation is not unique to Ireland, the programme shows the effects of population loss on rural areas, in terms of service provision and employment opportunities. The Battle for Rural Ireland highlights some examples of innovative enterprise development and employment creation in rural areas but ultimately the need for stronger regional and rural policy is clear. Deirdre Frost, WDC was interviewed by Keelin Shanley on RTE Television’s Morning Edition programme for a story on Rural Broadband and the Government’s plans for Next Generation broadband rollout. The programme featured Minister White, explaining the process and timeline for the rollout of quality broadband to rural areas. The segment was aired on Monday 22nd September 2014. You can watch the segment here at 1hour 25 mins into the programme http://www.rte.ie/player/ie/show/10326333/ (available until 13 October). The WDC has published various reports on rural broadband, with its most recent publication arguing the case for Next Generation Broadband rollout to Rural Areas. Deirdre Frost of the WDC was interviewed as part of the story Poor broadband hits rural growth aired on RTE’s Morning Ireland on Wednesday Morning (17th September 2014). Some interesting case-studies on the innovative use of broadband in the farming sector, are highlighted, for example the use of video to participate in an online mart based in Ballina Co.Mayo and the use of CCTV to monitor stock remotely. These innovative practices are being developed despite the poor broadband service levels available in rural areas.